GO VOLTRON FORCE! Don't get the reference? That's okay, not everyone is as cool as me. I am an ad nerd. Well, I’m more than that, but for now let's just talk about my obsession with Facebook ads. I was the first person in Iowa to purchase a Facebook ad in 2006. No joke. It was a dumb ad that cost me $2 aimed at Drake University students to get them to buy coffee at a coffee shop I owned at the time. It worked when three kids came in for coffee an hour later and told me they saw the ad. I’ve been hooked ever since. I’m also a Cubs fan. If you're not, I feel sorry for you. Not everyone can be a reigning World Series Champion. So as we’ve already established, I’m an ad nerd. 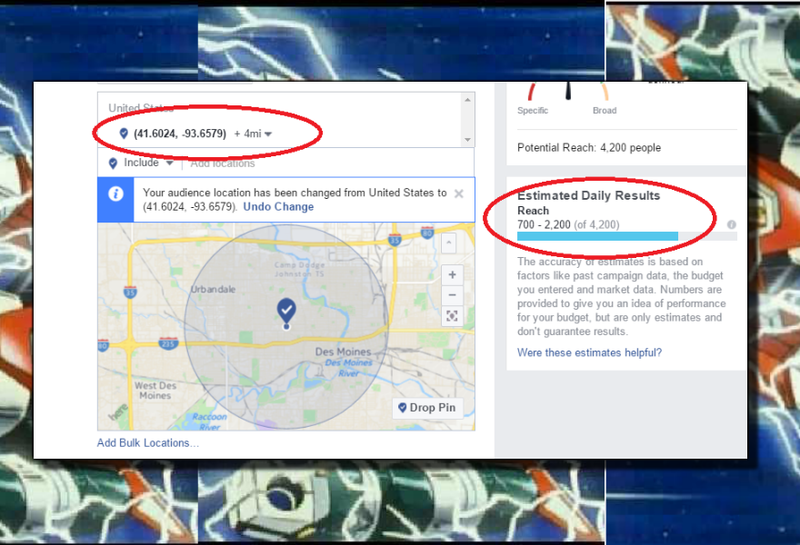 This means I like getting into the weeds of Facebook ads. So when my friend Becky Mollenkamp asked me a few weeks ago to prove that Facebook ads could pay off big time for her and her business, I thought challenge accepted. Let’s do this. (As an aside, do yourself a favor and read Becky's amazing blog on writing and online marketing. SIGN UP for her newsletter. She's doing smart things over there). So I’m assuming that if you’re reading this blog, you’re a smart and extremely handsome person. But for some reason, you haven’t had much success with Facebook ads. Or maybe you have and you’re just reading this to confirm how smart and handsome you are. Either way, I’m here to help! Or maybe you're just average amounts of handsome. I highly doubt that, but okay! I'm here for you, too! This is a big topic that I should probably use to kickstart my best book that will sell dozens of copies, so I’m going to unpack it a bit. But promise me that you'll read the whole thing, because if you do these steps, you’ll make dozens of dollars. It might read like a VCR training manual, but follow these steps with me and we’ll get you there, smarty. A Pixel is the tiny bit of code that Facebook gives you that's unique to your ad account that allows them to tell you when someone visited your website. What this does is that it will track the people who come to your site and will tell Facebook when people visit your page. 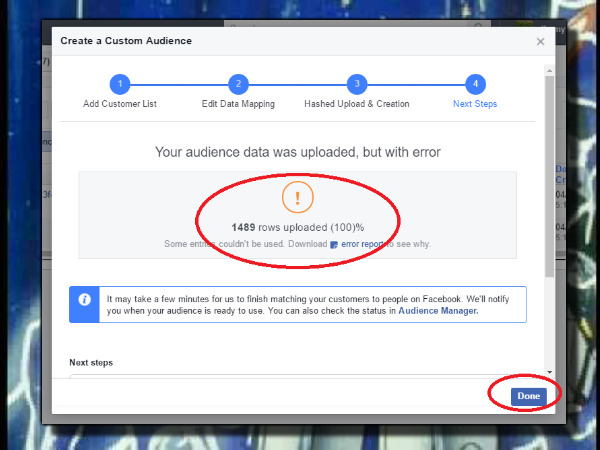 This means that when they browse through Facebook after visiting your page and you have an ad running, they’ll see your ad. Create a list of people who see your pixel. It might take a few weeks or so to get enough traffic on your site to earn quality retargeting, but don’t worry about that. Just get the thing running and worry about the other stuff later. What Facebook is doing is building a list on your behalf of people who visit your site. Creepy, yes, but when your ads appear in their timeline, they are much more likely to engage with you. First, click on the Business Manager Settings of your ad account. Select "Pixel"
Take this code and insert it in the header of your website. If you don't know how to do this, there's a tutorial at the bottom of this menu that shows you how to insert this code in your site. Make sure to put this code on every page in your website. Make a custom list of people who have visited your website. This is magic. After a few days, this will populate with people that you can target in ads. 2. USE YOUR ENGAGEMENT LIST. Target people who’ve engaged with your Facebook stuff. Facebook has a nifty thing where they allow you to track people who have liked, shared or comment on your Facebook page up to 365 days ago. You’ll see it in my example below. That’s so great, because these are people who already like to click on things. Oh my, how awesome is that!? I just made you like five more bucks today and I didn’t even charge you for it. Wait, (and I feel like the Shamwow guy here), but there’s MORE! 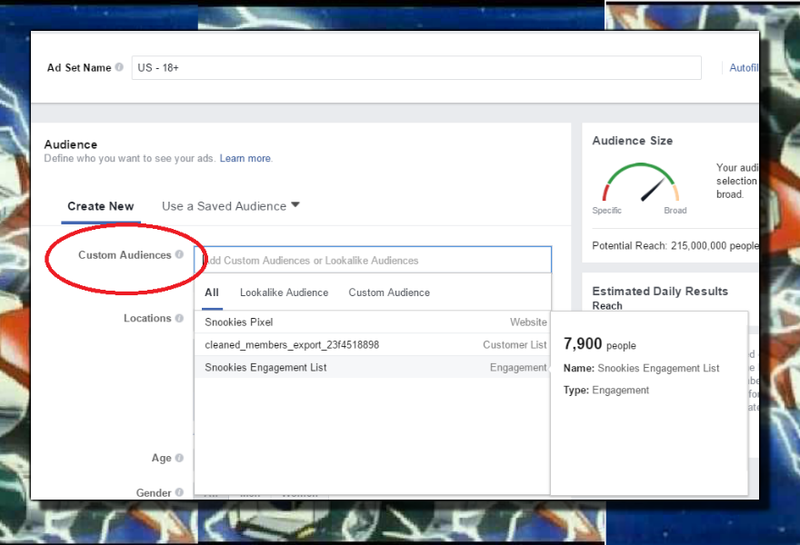 In the Business Manager menu, click on Audiences. 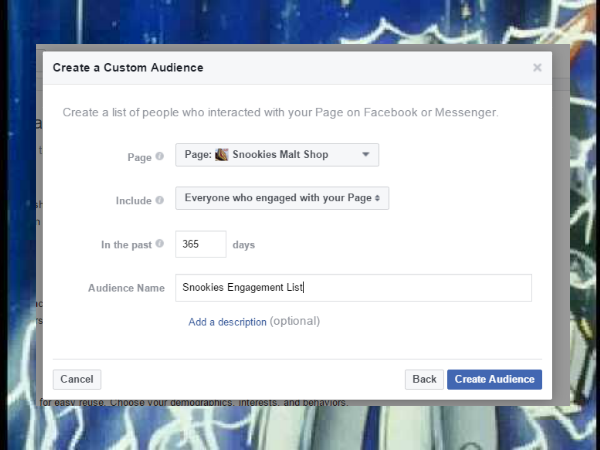 Then select pages for your engagement list. Then create your custom audience based on engagement. You can go back as far as 365 days, so unless you have an enormous Facebook page, I'd stick with this. 3. USE YOUR EMAIL LIST. Use your email list like a champ to create a Facebook targeting list. Upload your emails and create an ads list that allows you to target your ads to people who already like you enough to give you permission to send them things in their email inbox. Once again, go to Audiences. Select the Email List part. Add the list that you want to use for emails. Add the list and make sure it's the list you want to use. 4. GO VOLTRON FORCE! VOLTRON ASSEMBLE! Now is the time to assemble these three lists to make your all powerful Voltron list! The great thing about this is that the numbers adjust as more people visit your webpage, which fires your pixel and as increases as more people engage with your page. 5. LOOK AT THE RESULTS. IMPROVE ON THEM. RINSE. REPEAT. Look at your best performing ad and put a huge buy into it. Did you spend $2 for a one day ad last time? Spend $20 for two days this time on the one that performed the best. Use this data when you create posts in the future. You'll notice that the best performing ads usually make the best performing organic posts. Notice that I didn’t even get into the world of targeting by people's interests, their demographics, income and all that (yep, Facebook knows everything about you). I’ll save that for a whole other post or maybe even an e-book, because there are some pretty good nuggets there. What I tried to do here is to focus on the low hanging fruit. These are people who are already familiar with what you do for the most part and have at least come across your blog in one form or another. Okay, now for the questions. If you have any, feel free to drop them in the comments. I’ll come back to answer them. You can also tweet at me at @goodmilkshake. P.S. I wrote this entire post with Daye Jack's new LP in my ears on repeat. Listen to it here. So good. You’re welcome. Phil K. James helps people who sell food and drink to sell more food and drink. He does it through hyper-targeted digital media storytelling. You can find him at http://GoodMilkshake.com or on any of his social channels. He is the father of four future Chicago Cubs statisticians.